I’ve never really jumped on the sweets-for-breakfast bandwagon, so the wonder of waffles has mostly escaped me. The recipe below, though, has turned me into a raving fan. 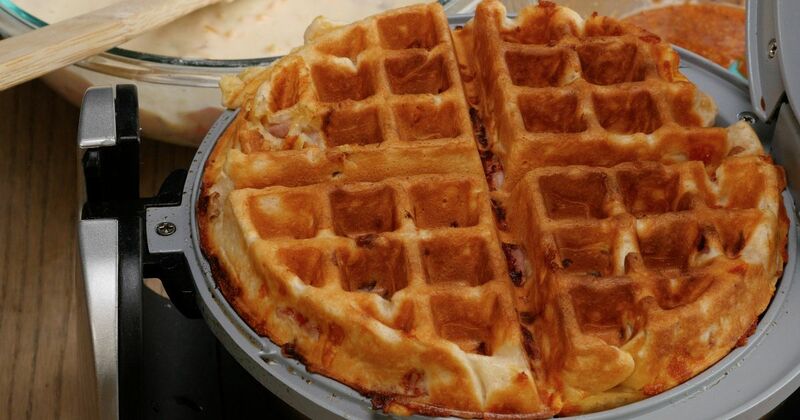 It’s a savory waffle filled with ham and cheese. A spicy-sweet, honey mustard dipping sauce is the perfect finishing touch. I can eat these waffles any time of day. They make a tasty savory breakfast that’s filling and nutritious. But they are just right for a homemade lunch or quick dinner. You can even make a big batch of them and keep them in the freezer. Just reheat them in the oven or toaster when you’re ready to eat them. In a large mixing bowl, combine the flour, baking powder and salt and whisk to mix well. Add the eggs, milk and butter and mix just to combine. Gently fold in the diced ham and shredded cheese. Make the dipping sauce by combining the mustard, honey and hot sauce in a small bowl. 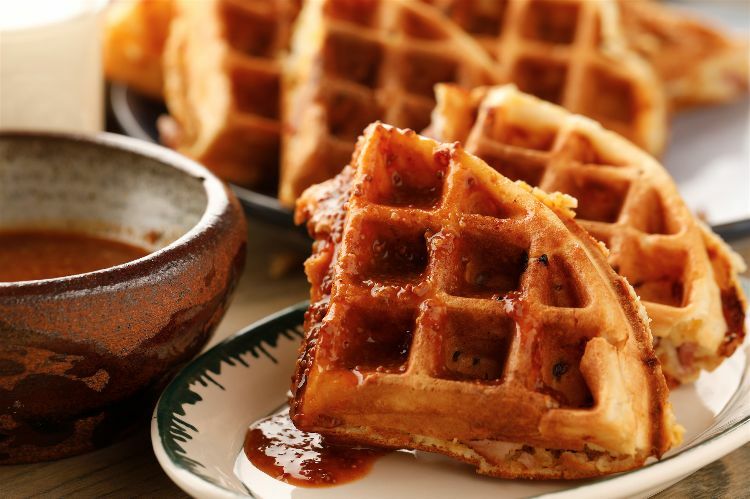 Cook the waffles according to the waffle iron manufacturer's instructions. Serve hot, with the spicy mustard sauce alongside.